Many flavours in one delicious bowl. Spicy, sour, sweet and savoury – the popular Singapore hawker dish of laksa blends many flavours into one delicious bowl. Once you try it, you may just find yourself craving hot soup in spite of the tropical heat. Laksa: don't wear white to this meal! 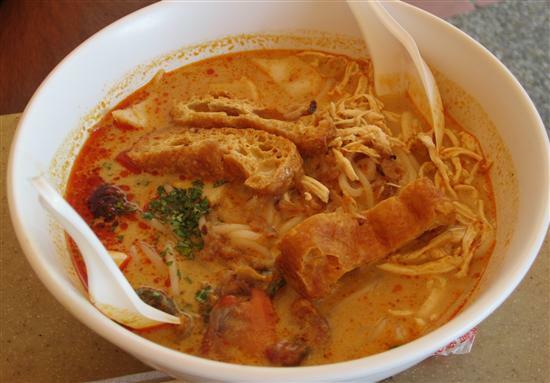 While most Singapore hawker dishes can be categorised as having Chinese, Malay or Indian origins, laksa is home-grown. This soup is an example of Peranakan cooking – a fusion of Malay ingredients with Chinese cooking techniques – that developed in the historic Straits Settlements that Singapore was once part of. Laksa gets its bright colour from the spices that go into the broth – curry, garlic, lemongrass, blue ginger, turmeric, chilli, and laksa leaves (which are also used in Vietnamese cooking). All that spice is mellowed by the addition of thick coconut milk, and swimming in the rich broth you’ll find fresh prawns, cockles, fishcake, fried tofu and rice noodles. Laksa is beloved across Singapore and Malaysia, and many cities boast a regional variation they claim is best. Penang is known for its assam laksa, which has a fish-based broth, a sour flavour from the use of tamarind, and no coconut milk. Found in eastern Malaysia, Sarawak laksa contains no curry and is topped with shredded chicken and strips of fried egg. 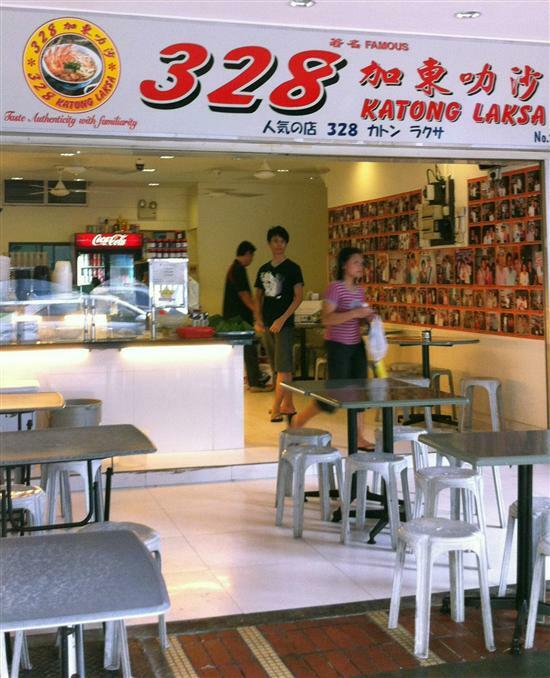 Laksa is the claim to fame of Singapore's Katong neighbourhood. In Singapore, try a variation known as Katong laksa so named for a historically Peranakan neighbourhood in the eastern part of the island. This version of laksa has a strong curry taste and shorter noodles so you can scoop them up with a spoon, and more than one restaurant claims to be the inventor.